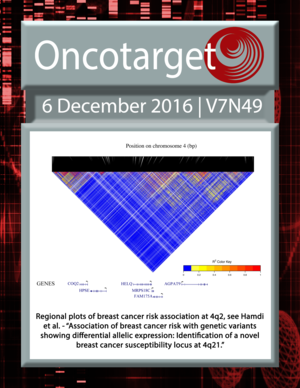 About the cover: The cover for issue 49 of Oncotarget features Figure 1, 'Regional plots of breast cancer risk association at 4q21,' from Hamdi, et al. 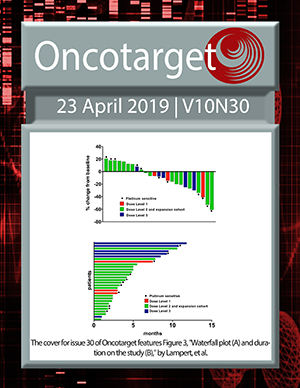 Axl in ovarian cancer: a step forward for clinical breakthrough? Is senescence-associated β-galactosidase a marker of neuronal senescence?